I frequently use Google Earth in my social lessons. I wanted to share some simple ways I use Google Earth in my division one class! As a grade two teacher, I will be giving grade two examples. 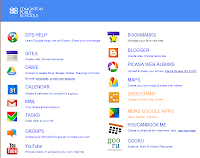 Grade one teachers might also want to check out Google Earth in Grade 1. Also, it is useful to know the difference between using Google Earth and Google Maps. Google Maps are more collaborative. Also note maps can be viewed in Google Earth and vice versa. The basics of Google Earth and Maps are fairly intuitive, however, like any resource, it is worth familiarizing yourself with the basics before you use it with your class. As I am writing this in March, planning a dream vacation to Mexico sounds like a fun way to spend some time learning about the different features of Google maps. 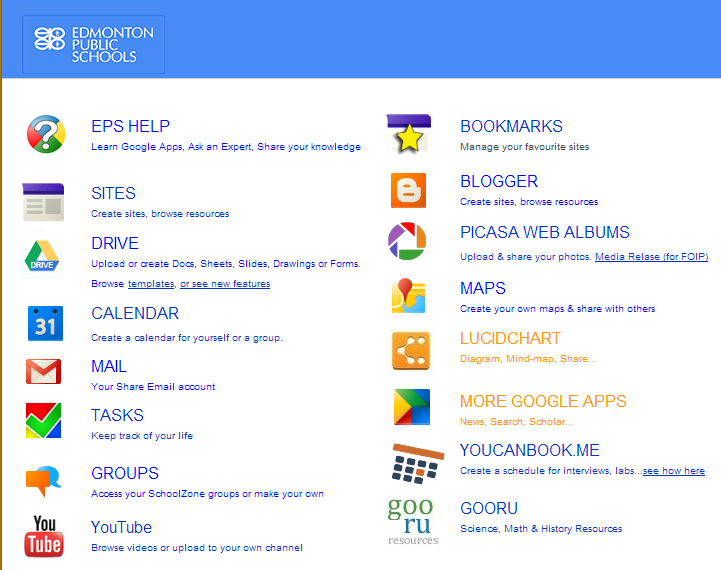 Google maps is a part of the Google Apps we have for EPSB staff and students. You can access it in the "more" section. However you will need to download Google Earth. You can change to Street View by dragging the pegman (the yellow man) onto the map. Streets that you can view in this way will show up as blue when you do this. If nothing else, play around for a bit to get to know how to navigate. Google has Basics and Help with Google Earth and Tutorials. You may want to also reference this Google Earth tip sheet. I have only ever used Google Earth as a whole class device. It's great for things like discussing Chinese New Year and then showing the students China. I also use it when I introduce a new community in social studies. I try to always start in Edmonton and then have the students direct me with NESW or once we start 'moving' on Google Earth, have them describe what direction we are going. Please note while we love readers from anywhere, our specific audience is EPSB teachers, so the examples will be based on the Alberta curriculum. At the beginning of the year I use Google Earth to show students where we are within Edmonton. I zoom out from our school and show them how big Edmonton is. I point out the squiggly line running through our city and ask students what it maybe. Then using Street View, I go to a bridge (or two) and show students the river. I use Google Earth to locate and discuss the other various land and water features of our city. 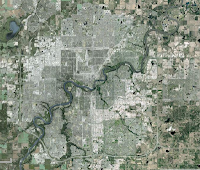 Then I zoom out from Edmonton to show the students where the city is within Alberta. I continue to zoom out and show them where Edmonton is within Canada. I start with reviewing where we live - Edmonton. 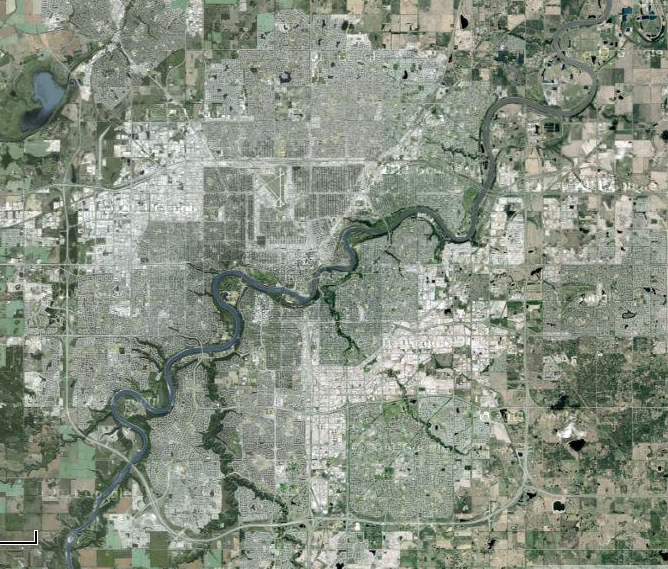 I review the size of Edmonton, discussing the grey area is the city (when zoomed out far enough to see this). I usually circle the area I am talking about on the Smartboard. Then I ask students to direct me to Iqaluit (north and east). I stay zoomed out to discuss/review where Iqaluit is in relation to Edmonton. Once zoomed in closer, I point out that it is a much smaller city. Typically, I will then go to street view so students can see the difference in the buildings, roads and landscape. When I have zoomed out more, I direct the conversation around the land and water around Iqaluit including: the inlet, the river, the lakes and the coastline. 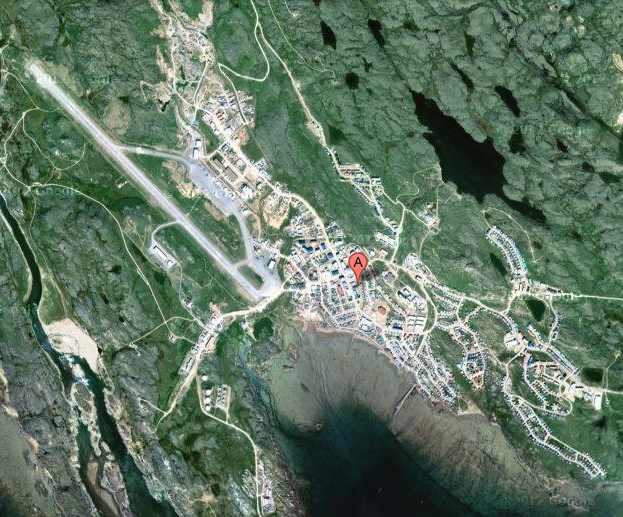 As with Iqaluit, I start with review of where we live. I review the size of Edmonton and emphasis how big of a city it is. I review where Edmonton is in context of all of Canada and point out we are landlocked. Then I ask students to direct me to Meteghan (east). I stay zoomed out to discuss/review where Meteghan is in relation to Edmonton. 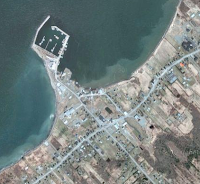 Once zoomed in closer, I point out that it is a village. I draw their attention to the fact that there are really two visible main roads. 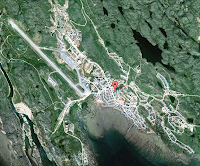 As with Iqaluit and Meteghan, I start with a review of our city and province. I tell them we are going to drive to Saskatoon. I ask students help me get started by pointing me in the correct direction (east). Using street view, I drive from our school (which is on the southeastern edge of the city) out of the city. I point out the difference between the urban and rural elements as we leave the city. I do not 'drive' all the way to Saskatoon. I do skip ahead on the highway a few times until we are just outside of Saskatoon (Trans Canada Highway) so we can enter the city with street view. I ask students to share what they notice. Without prompting I usually get 'very flat' and 'no trees'. One thing I like to point out is when the images we are looking at in street view are from. This is usually found at the bottom left corner of the images. Not only do students need to be reminded it is not real time but it can lead to questions like, 'what would it look like in the different seasons?' Or you might have discussions around what might change over time. I'd love to hear how others use Google Maps and Google Earth in their classroom! Please share in the comment section.